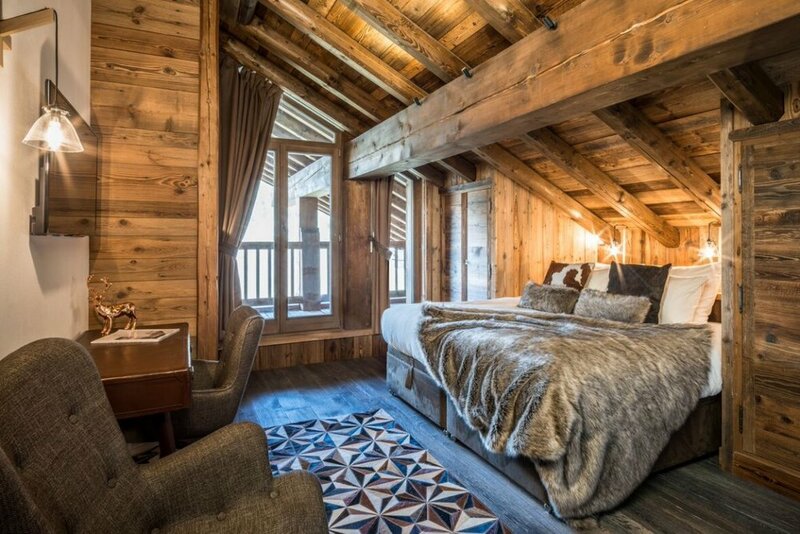 The chalet has five beautifully furnished bedrooms. Each room is unique and boasts a comfortable and stylish Super-King bed and ensuite bathroom. The large open plan living and dining space is comfortable, luxurious and functional with ample dining for ten guests. Deep comfy sofas are centered on the feature fireplace with flat screen TV above. 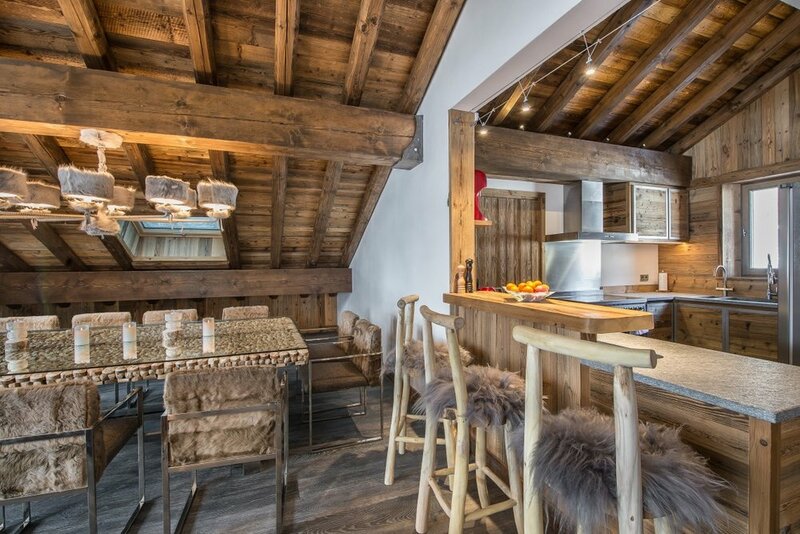 The open-plan kitchen is fully equipped and benefits from extra storage space.